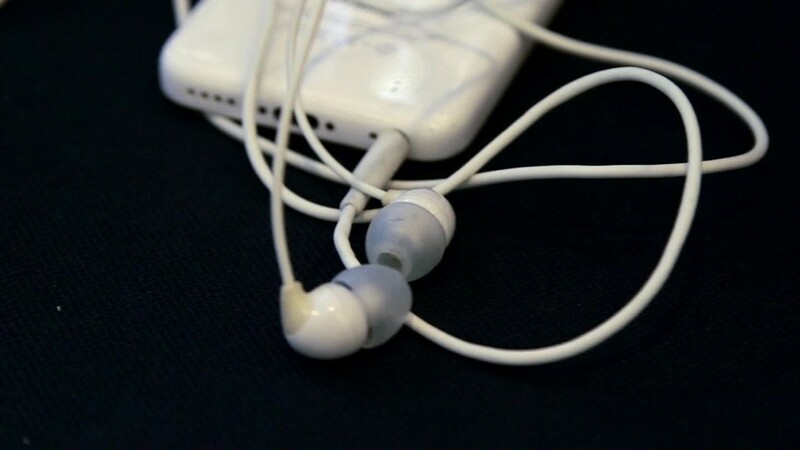 Will Apple drop headphone jack on next iPhone? Will Apple release a mini "iPhone 6C" or "7C" in April? Here's the latest scuttlebutt. 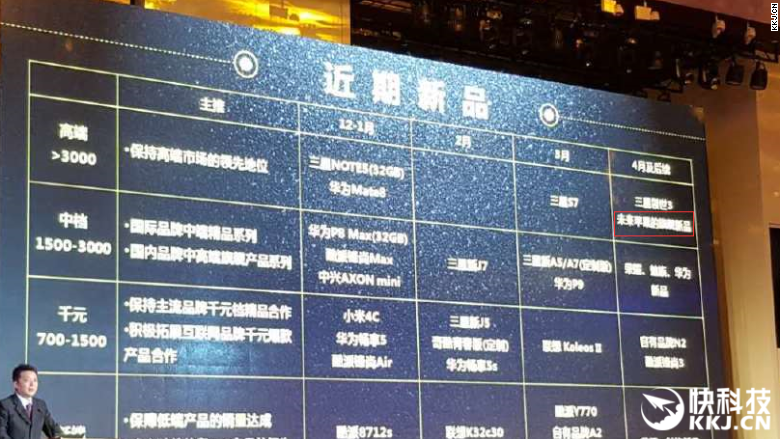 Chinese tech website MyDrivers.com posted a picture that supposedly includes telecom giant China Mobile's (CHL) presentation of its plans for 2016. On the right hand column of the presentation labeled "April or later," one product reads "future Apple iPhone 7C." CNNMoney could not verify the authenticity of the photo. But you can add it to the heap of of rumors that Apple will add a third new iPhone to its offerings in the spring. The talk started when KGI Securities analyst Ming-Chi Kuo, who is more often right than wrong with his Apple predictions, forecast in November that Apple will release a new, four-inch iPhone in 2016. China Mobile's presentation of the iPHone 6C? Kuo said Apple could ship between 20 million and 30 million of the new, smaller iPhones through the end of 2016. He predicts that the smaller iPhone likely won't have some features of the bigger phones, including 3D Touch. But it would be made of metal (not plastic like the iPhone 5C). Apple could be planning on a mini iPhone, because some iPhone customers are complaining that the 4.7-inch and 5.5-inch iPhones that Apple introduced in 2014 are too difficult to use with one hand. Many prefer the four-inch iPhones that Apple made in 2012 and 2013. Apple (AAPL) still sells the four-inch iPhone 5S, which debuted in 2013. But it is slated to be phased out next year. When Apple launches new iPhones, it typically reduces the prices of the previous two iPhones and discontinues its three-year old smartphone. If Apple were to follow that course, it would continue to sell the iPhone 6 and the iPhone 6S next year, alongside the iPhone 7. There wouldn't be a four-inch version of the iPhone left on the market. Don't get too hung up on the name just yet. Despite the rumors, analysts differ on whether Apple would name the new phone the iPhone 6C or 7C. Even if China Mobile's presentation is accurate, it's unlikely that Apple would have given the name to the wireless company yet.